We knew it was coming. The hard part wasn’t how to prepare, or how much; we’ve been through blizzards before…the hard part is always waiting it out, and getting stir-crazy. 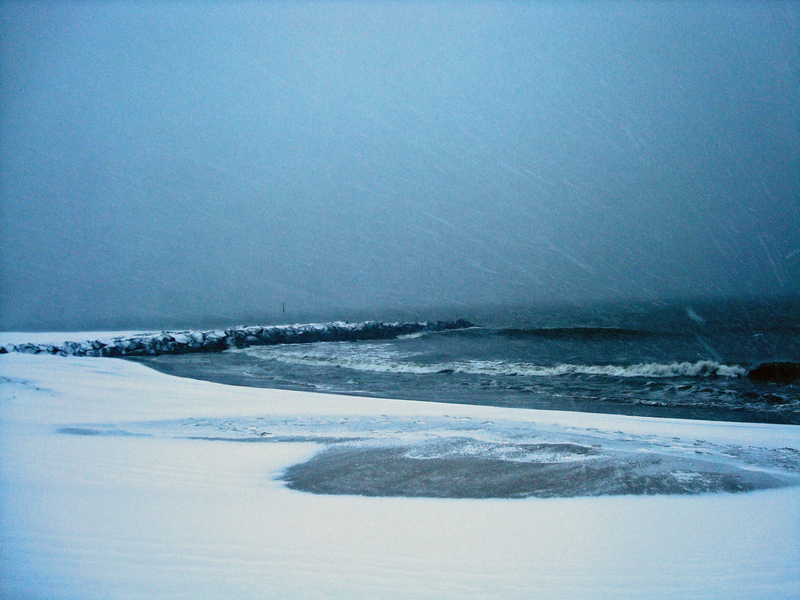 The snow began to fall early the day after Christmas, then the wind came, slicing and howling – a Nor’Easter. The wind was at my back, and I knew I shouldn’t go far, because there’d be hell to pay walking home! Yes, I knew…but I kept walking, taking pictures as I went, walking mostly on fresh fallen snow. A lone gentleman asked me if I’d take his picture, and he would take mine in return. Time to turn toward home, the Bayberry Inn beckoned with promises of hot mocha coffee. A grey dusk gathered as the storm defiantly pushed against me. I walked a little faster, admonishing myself, silently (as though someone might hear)…My face was very cold and wet, my feet slipped out from under me as I crossed Carpenter’s Lane! I almost couldn’t get back up, it was so slippery; I crawled a short way to get my footing… What a sight I would have been to anyone looking out a window! At least I wasn’t hurt, but I wasn’t going to take anymore chances, so I walked carefully the rest of the back. Glad to be home again, at my Bayberry Inn, with my family (and my hot mocha coffee).